You must make reservations at least 5 minutes in advance of the time at IL BISTRO. Dinner: Sunday - Thursday: 5:30pm - 10:00pm, Friday - Saturday: 5:30pm - 11:00pm Happy Hour: Every Day 5:00 pm until 6:30 pm Late Night Happy Hour: Sunday through Thursday 10:00 pm until Midnight, Friday and Saturday 11:00 pm until 1:00 am. Lounge is open until 2:00 am every night. Valet Parking offered Thursday, Friday, and Saturday only. Located at Market entrance at First Avenue and Pike Street. Street parking is also available. In addition, there is a Public Garage one block East at 2nd Avenue Between Pike and Pine Street. Picture a cozy restaurant nestled in a cavern in the rolling hills of Tuscany. Imagine the freshest local ingredients, authentically prepared, an extensive wine list featuring the best of Italy, the Northwest and California and a classy candlelit bar specializing in hand-made cocktails, single-malt scotches, ports and grappas. Sound like a special evening? Visit Il Bistro and Spend a Night in Italy. 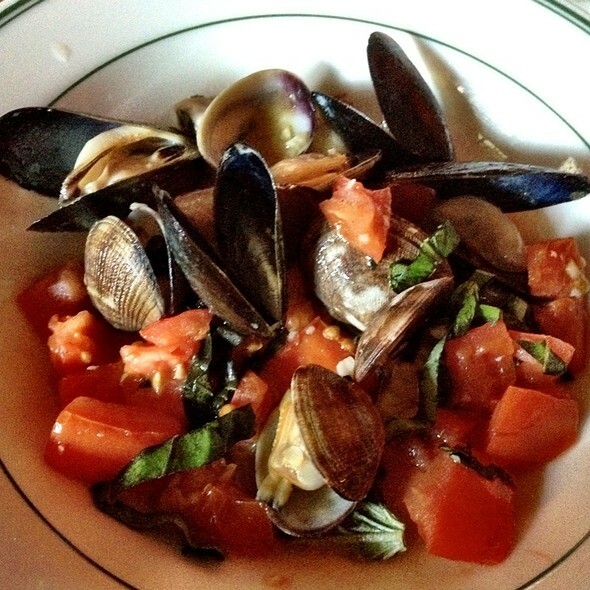 For over 30 years, Il Bistro, tucked away down a narrow cobblestone alley in the Pike Place Market, has offered Seattle romantic, fine dining, featuring regional Italian fare. Market fresh Meats, Seafood and Produce are always our priority. Please make a reservation to join us! Three of us enjoyed the Restaurant Week menu at Il Bistro early on a Sunday evening. All staff were gracious and attentive; the ambience was pleasing. Our food was superb (I had Caesar Salad, Hangar Steak, and Lemon Ginger Panna Cotto) and wine delicious. It is the best meal of its type I've had in Seattle, and I can't wait to go back! Our server was INCREDIBLE, I do not remember his name but he was so kind and knowledgeable. Moroccan gentleman who was also a sommelier! Our server was polite and attentive. One of the specials - the cod - has run out so I was offered the albacore tuna as a substitute. I accepted but when the dish came, the tuna was awful. It was so dry, it had to be cut with a knife. I couldn’t eat it. Our server did take it off the bill but I was disappointed. The meal was delicious. We had a relaxing time enjoying every bite in a romantic setting. The service was generally fine, and the waitress was very nice. But the food was a bit of a disappointment. 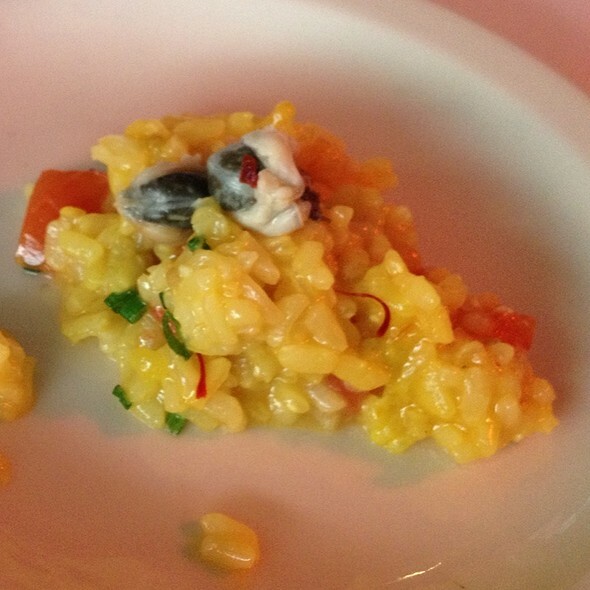 It was good, but it wasn’t quite worth the cost, even at Seattle Restaurant Week prices. The burrata salad needed balsamic or something, and I think the menu even listed that as an ingredient. It would have been phenomenal if it were actually included. 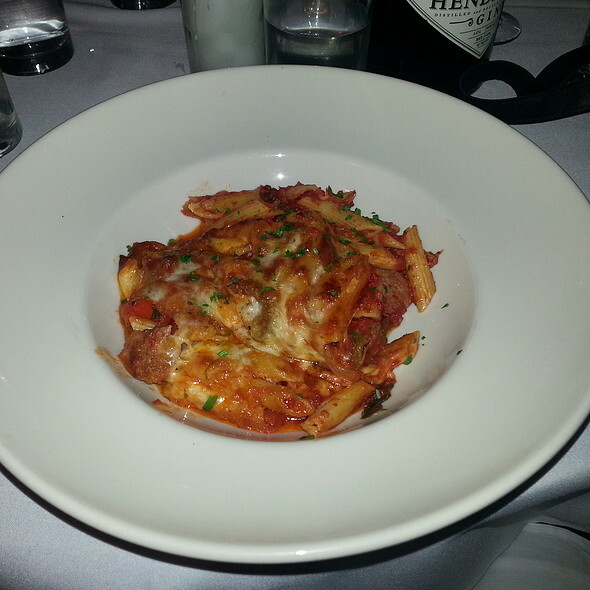 The rigatoni was cold, likely due to waiting for the hanger steak that my date had to finish cooking. I did try a bit of the hanger steak, and it was probably the best item. But the flavor of it dwarfed the flavor of the sides, which were layered underneath it and thus difficult to enjoy in their own respects. The desserts were very well made and wonderful. The cocktails were particularly lovely, as I believe is the reputation of Il Bistro. And the ambiance was a wonderful escape from the bustling of Pike Place. Every bite of every dish was delicious. Food made with expertise to wow the palate. So grateful for finally having a meal that was excellent from start to finish. Nice pink colored ambient light, feels cozy and makes you look good! 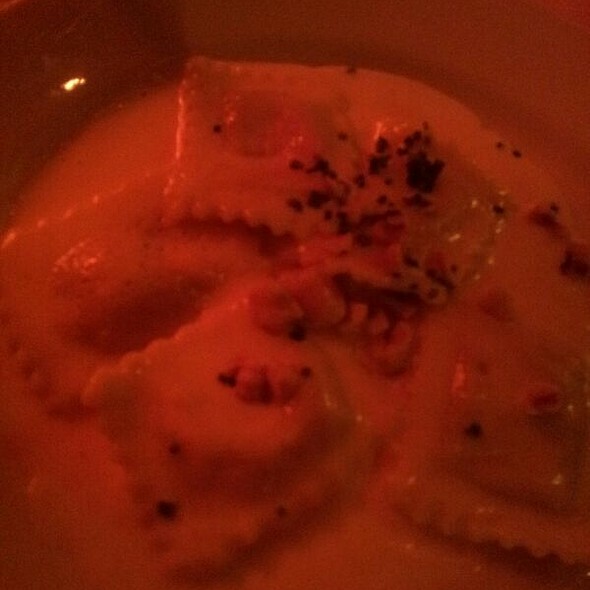 Mushroom ravioli and goat cheese crostini were amazing. Just an outstanding experience! We loved everything about this place. Will be going back more often. 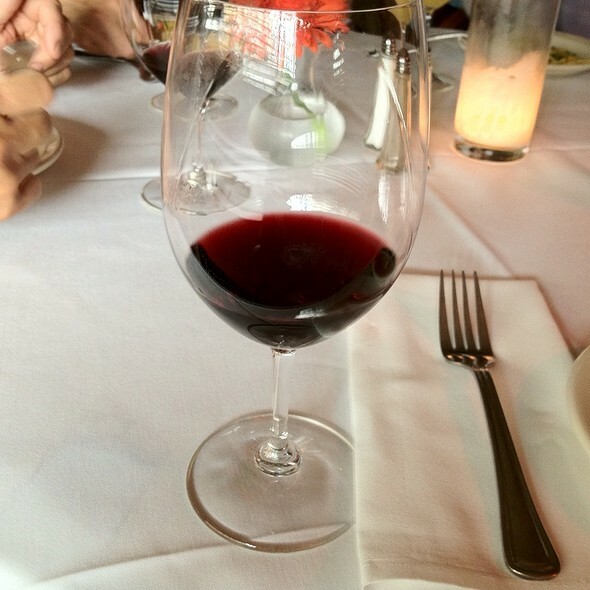 Throughout the years Il Bistro has been a go-to for drinks on a Friday night or for celebrating. Although the decor may have changed, the ambiance, service and quality of food has not. As I said on my way out, what I'll remember is how they made us feel...once again, expectations exceeded, everything was simply wonderful! Super noisy, but fun place under the Pike Place Market. The food is decent if uninspired. The atmosphere is energetic and as there is no soundproofing, it's so noisy even the waiters cannot hear when taking your order. Wait staff is understaffed and overworked. They do their best under challenging conditions. Still, all in all, it's a good choice for a lively drink with friends. For a quieter dinner, make a later evening reservation. My fiancé and I went for her birthday. They were appreciative of us choosing them for our date. The waiter was courteous, kind and respectful. Knew his stuff and knew when to give us our space. It was a nice spot recommended by a local for our first night in Seattle. A little too dark so hard to read menu. Not impressed at all.......from the food to the service it was definitely less than average. The bread did not taste fresh and came with butter, not olive oil like you would expect at a good Italian restaurant. The fish dishes were just ok. The waitress was not friendly. Disappointing first night in Seattle pick. Would not recommend choosing this restaurant. 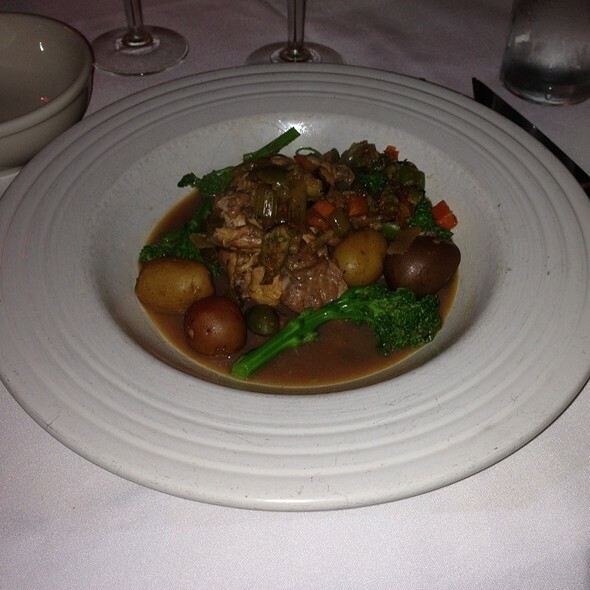 We love going to Il Bistro and have recommended it to several friends. And, yes, we plan on going again!! Our Halibut was overcooked but the rest of the food was good. Been going there for a long time and they did a little remodel that I think helped with the noise level. Food was lacking a little flavor this time, but the rest of the group liked their dinner. Overall great place to go and relax and have some good wine. The food was fantastic - every bite was a treat and had a freshness that clearly came from being so close to the market. I can't wait to go back and try some more. The atmosphere was perfect for a romantic dinner: dark, intimate, and yet loud enough to be able to have a conversation without being overly conscious. The staff were all friendly and helpful. The only downside for us was that there was apparently some hiccup in our main course and we waited a long time! They apologized without us raising a complaint and comped dessert. Il Bistro just hit all the bases for us. Quality of food, presentation, great rotating food specials, and an improv theater right around the corner. I expected to spend well over $200 on what we ordered. After tip we only spent $153. It was such a relaxing and warm experience. Our server was very attentive, just like during previous visits. Extremely loud at my little table facing the wall. Didn’t stay. I’m sure the food would have been lovely. But, it was so friggin loud, I couldn’t hear my wife. Everything was really tasty. It’s a bit too loud for my taste. Other than that, loved it! Had a lovely dinner with good friends. We were able to have nice conversation - good was excellent and server was delightful. First, but certainly won’t be my last time at this restaurant right around the corner where I’ve worked for the last 20 years! How did I miss this treasure? It was my birthday dinner. The steel fish was excellent; my husband reports the scallops were “okay”. Always appreciate menus that indicate gluten free options. The room was very intimate. Overall a good choice. Hadn't been in 20 years but I remember loving it back then. Sadly, this time the food was AWFUL. Truly inedible. The chicken was tough, over salted and undercooked. The pasta tasted like it came from a jar. The wine was good but way overpriced (expected). It was a sad waste of money....at least it's still pretty and my date was laid back about what a disappointment it was. I went back because they have the best lasagna in the city. Their ricotta cheese is better than anything I’ve had locally. I should sit in the bar next time as the dining room felt a little fancier than I wanted (first time I went I was in the bar). I will be coming back ASAP. Great restaurant. Thank you. One of the few truly romantic restaurants left in the city. Superb service including sommelier. Two dinners 1 app, 1 salad, and a bottle of wine cane to $130 pre tip. Best bartenders who really know how to make a cocktail. All very reasonable for what you get and a great evening always. Risotto was the best. Very cozy, intimate restaurant. The service was attentive and the food was amazing. The menu choices had something for everyone including our teenage boys. Very personal service and prompt. Plus you can't beat having a great dinner right in Pike Place. 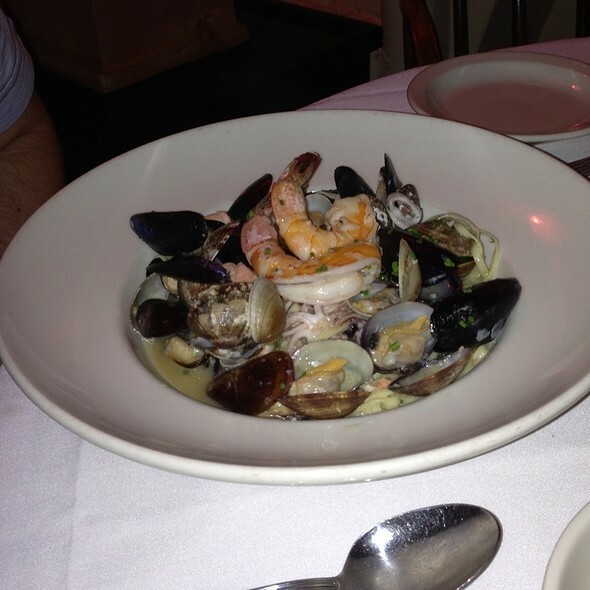 An enjoyable dinner with great food and service and a comfortable setting. Sat at the bar; excellent service and hospitality from bartender (Matt) and servers. We loved the cocktail list (drinks with interesting ingredients and combinations of flavors) , the selection of spirits and the availability of advice on how the cocktails tasted and finally, they were delicious. We were reasonably satisfied with the food but nothing stood out though none of our selections were regrettable. We'll be back for the cocktails and a bite in a good location with welcoming service. The rack of lamb is still to die for. Love this restaurant. We've been visiting off and on since it's inception many years ago. Recommend to all Seattle visitors as a must do while in this city. 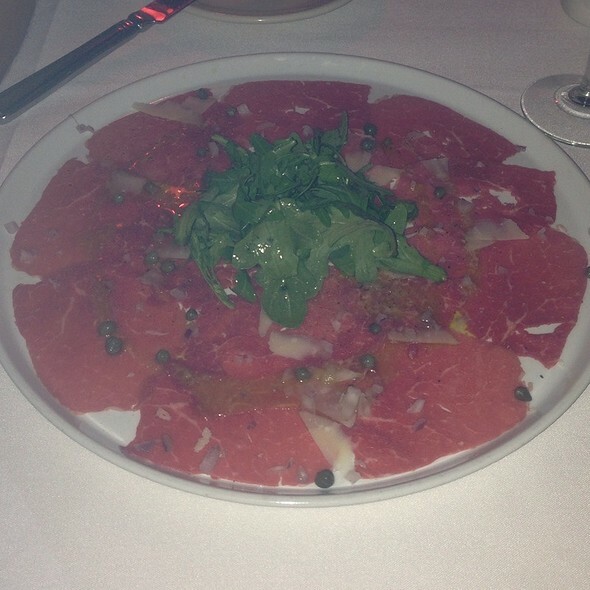 There was a little confusion with our reservation, but the restaurant went above and beyond to make it right for us. We had a wonderful time. The ambience, food and cocktails were amazing. We appreciated the attentive service and attention to detail. I will definitely be back to the lounge area - amazing service and drinks. For the price level of this restaurant the food in the dining room was disappointing. Despite knowing I love the Lasagna here, I ordered the Lamb Osso Buco. It was good but not great. I’ll return to the Lasagna for my next meal. This is one of my go-to restaurants. It is friendly and reliably good and sometimes great. The bars and Happy Hour are great. disappointed. Went for Valentine's day. Very very slow service. 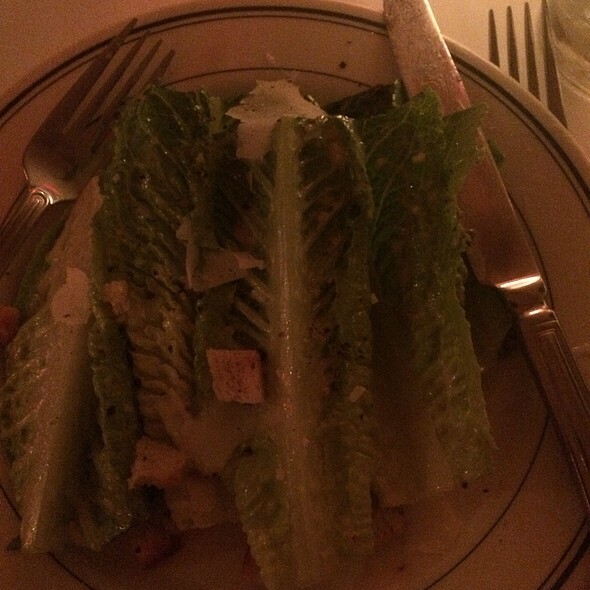 The food was AMAZING and the service was marvelous. We had a bit of a hard time finding the restaurant, but once we did, we were treated to one of the best meals in a very long time. In the past we have had the privilege of dining at many great restaurants, but this one was very impressive. We will definitely be back, especially when we can share the experience with friends. Thank you IL Bistro. Slow service. Pasta came out cold, so I had to ask for a new plate. First time eating here though I have walked by many times. What a hidden gem in the market. I had the lasagna which was outstanding. The service was first-class and the sommelier was informative. My wife and i had a lovely time and will definitely return a lot.